Silhouette shades are available in 4 vane sizes and many colour options. PowerRise with Platinum Technology provides touch-of-a-button operation for precise light control, privacy and enhanced child safety. Choose among a hand-held remote or wireless wall switch. Innovative Silhouette® Shades in a classic 50mm size are a truly premium window fashion that brings a subtle, elegant design sense to any décor. Luxaflex® 63mm Silhouette® Shades introduce an innovative new economic vanesize. Luxaflex® 75mm Silhouette® Shades introduce an exciting, new and exclusive look. 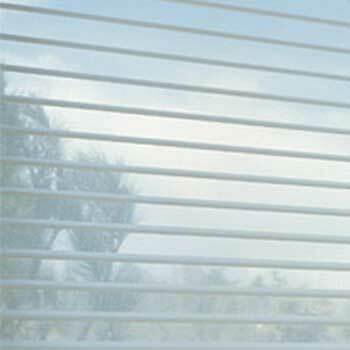 Allowing for increased see through visibility due to the width of the fabric vanes. Luxaflex® 100mm Silhouette® Shades introduce an exciting, new and exclusive look. Providing superior view-through, light control, style and quality all in one. Featuring a comprehensive palette of soft colours and pastels, Silhouette can take the lead or follow beautifully when it comes to setting the design style and tone of your room. For bedrooms, choose our "Bon Soir" room darkening fabric for the essence of practical elegance.